Fulda Gap, or simply Fulda, is a ground forces map available in all modes. It was added in Update 1.71 “New E.R.A.”, as a suitable map for the more modern Rank 6 vehicles added in the patch. Fulda is one of the few maps set after WW2, the others (as of Update 1.75) being Korea / 38th Parallel, Middle East and Sinai. As the name suggests it is set in the Fulda Gap, an area on the border of East and West Germany, during the Cold War. The map is noticeably modern with large radio communication towers, wind turbines, and modern looking roads, with electric street lights. Fulda is large compared to many of the other maps in game, with nearly all of the full ground forces map (seen on the right) playable. The open nature of the map lends itself to long range engagements, however close quarters brawling can still take place in areas such as the around the castle, and in the barracks / military depot areas, in various locations around the map. In Realistic Battles players must always be alert as players can quite easily snipe them from long range. Trees lines and hills can be used to provide some cover, but an unaware player can easily leave themselves open to enemy fire. The map also contains a number of static M60A1 Patton and T-62 tanks; usually located at road blocks, on the border, and in the military areas. Players need to be wary of these tanks as they provide the opportunity for enemies to park up and hide, blending in the parked tanks; they may also trick players into firing, giving away their position. These tanks are all M60A1s or T-62s, always have the turret pointing straight forwards (and gun level to the tank), and are map assets so never move; if you see an enemy tank that does not meet these requirements, then they are almost certainly an player, and should be engaged (assuming they are not on your team of course). The border between East and West Germany (the dotted line on the map to the right) runs roughly diagonal across the map, starting just east of the Southwest corner, and running to just west of the Northwest corner. in the Northwest of the map there is an American barracks, made up of a few wooden buildings and number of tents; with a number of static M60A1 Tanks parked in lines. East and slightly south of this there is another set of barracks, this time based in a small village (with a couple of damaged / destroyed houses; there are no static tanks at this location. East of this, and right on the border there is an American military base. There are a number few static M60A1s parked up at various locations around the base. Trees and bushes can provide cover for those trying to approach the base. Southeast of the base, on the East Germany side of the border there is a castle. This area provides a good spot for some short range brawling. Trees and the hilly terrain can provide cover to those approaching the castle. once at the castle it provides a good place to shoot down on people at the radio station to the southeast. Southeast of the castle, in a natural depression, there is a military radio communication station with large radio masts and a large number of static T62 tanks. Where main roads cross the border there are roadblocks, usually accompanied by static tanks. 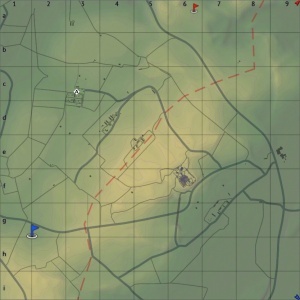 The tank battles map is 4km x 4km, with nearly all of it playable in RB & SB and the area restricted to about 2km x 2km in AB; see the table below for the exact battle area sizes. The air battles area is 64km x 64km. Description in the map loading screen prior to joining the battle. Remove if non-existent. 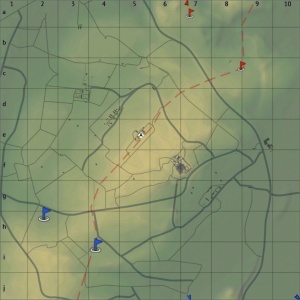 The map is set in the Fulda Gap, a region on the West / East Germany border which NATO identified as one of the two most likely areas that Soviet armored would advance through, in the event of a surprise attack on the west. It offered a passage through the rugged hills of southern Germany. The concept of a major tank battle along the Fulda Gap was a major element of NATO war planning during the Cold War. The United States maintained approximately 250,000 troops in West Germany during the Cold War, with the Majority located in the South, towards the Fulda Gap. A series of weapons, including various forms of nuclear artillery, man portable nuclear weapons, the AH-64 Apache attack helicopter and A-10 ground attack aircraft were developed with war along the German border in mind. With the fall of the Iron Curtain in 1989 and the reunification of Germany in 1990 the Fulda Gap lost its strategic importance. The general area in the air battle map is reasonably accurate, however the specific layout of the tank battles map seems to be to fictional (albeit clearly inspired by the real area). In AB point A is in the barracks close to the military base, B is in central military base, and C is in the castle. In RB point A is in the Northwest American barracks, B is in the centre military base and C is in the radio station. In SB point A is in the Northwest American barracks, B is in the centre military base and C is in the radio station. In AB the capture point is in the barracks close to the military base. In RB the capture point is in the Northwest American barracks. In SB the capture point is in the Northwest American barracks. 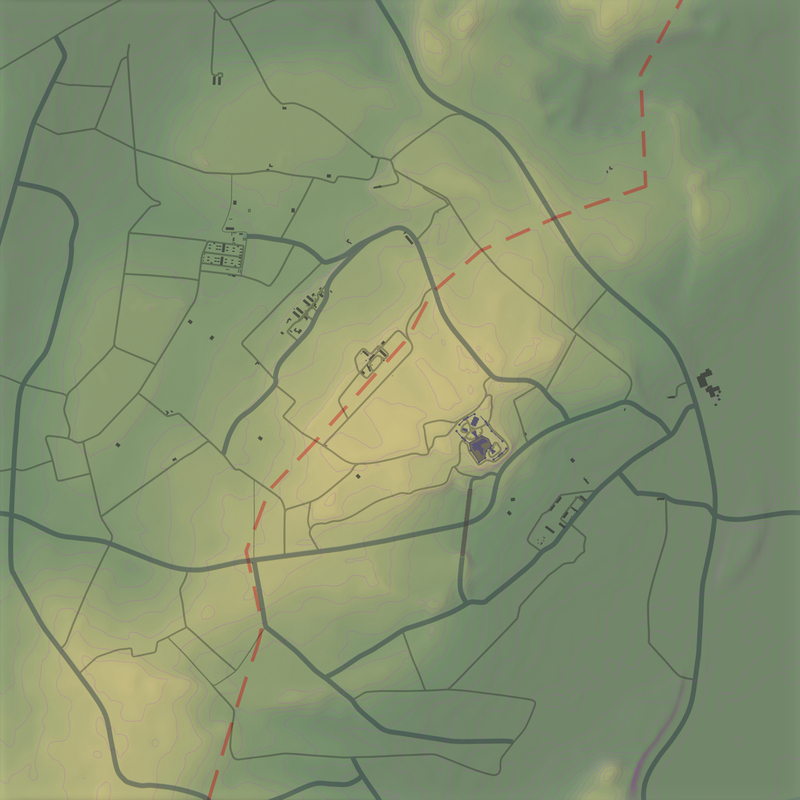 In AB the capture point is in the central military base (the same place as RB and SB but with a decreased map size). 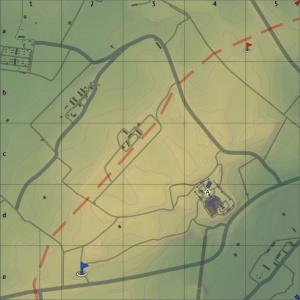 In RB the capture point is in the central military base (the same place as in AB but with an increased map size). In SB the capture point is in the central military base (the same place as in AB but with an increased map size). In AB the capture point is in the castle. In RB the capture point is in the radio station. In RB the capture point is in the radio station. 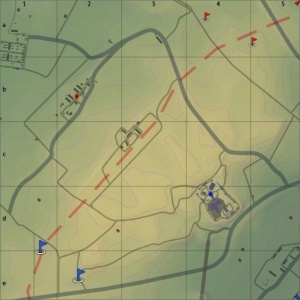 In AB the capture points are located in the barracks near the military base, and in the castle (the same as in RB and SB but with reduced map size). In RB the capture points are located in the barracks near the military base, and in the castle (the same as in AB but with increased map size). In SB the capture points are located in the barracks near the military base, and in the castle (the same as in AB but with increased map size). This page was last edited on 3 April 2019, at 04:34.